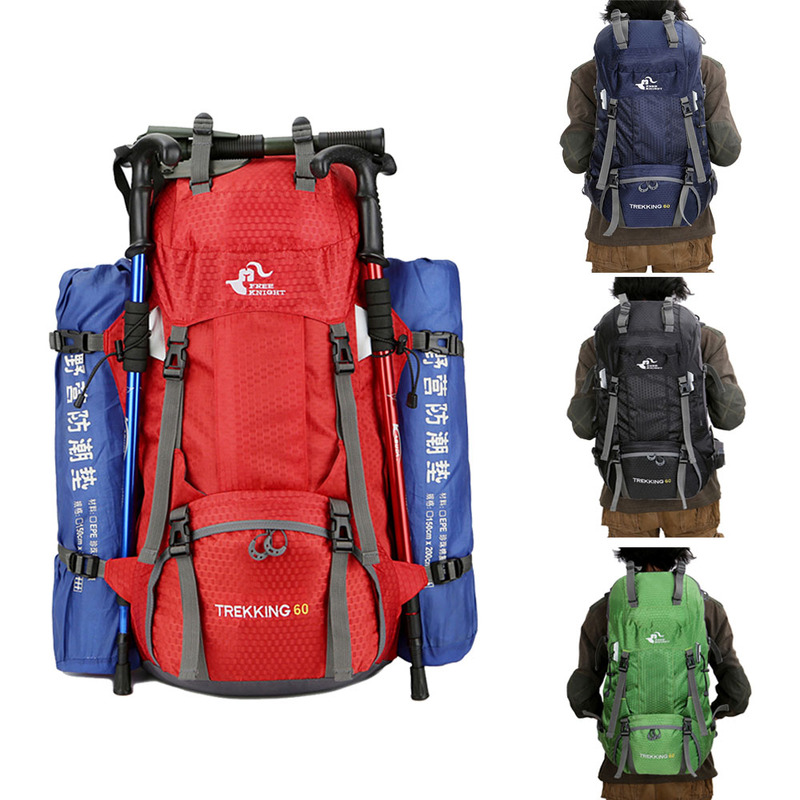 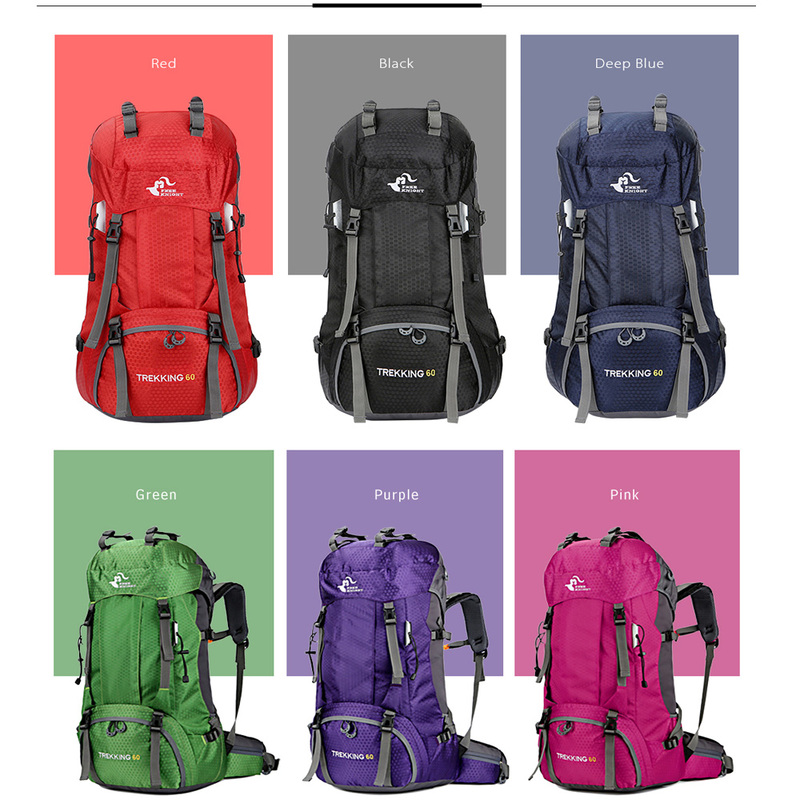 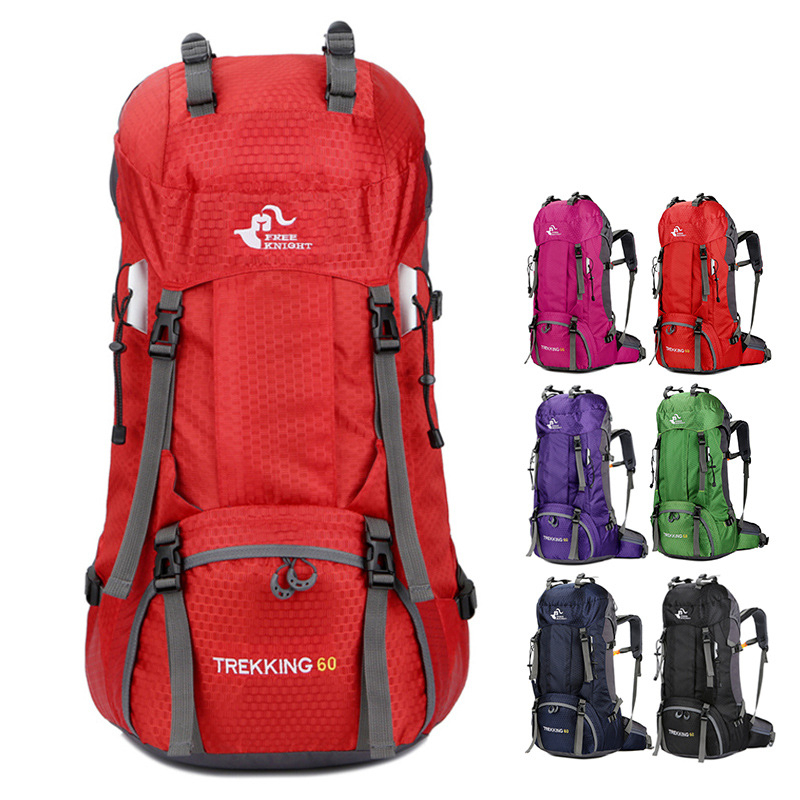 60L Outdoor Backpack with Waterproof Rain Cover for Mountaineering, Hiking, Trekking or Camping. 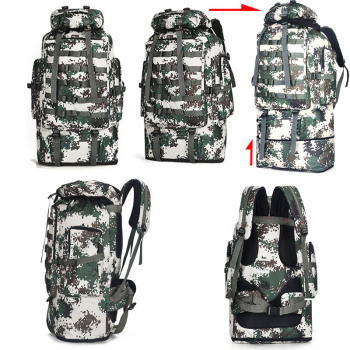 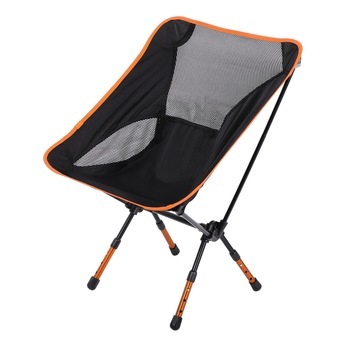 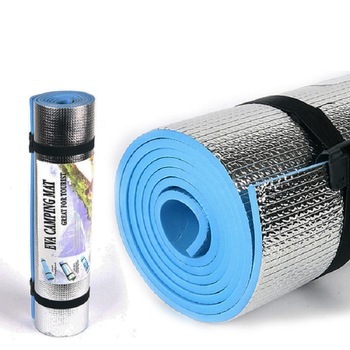 Made of waterproof nylon fabric this pack is water resistant, tear resistant, lightweight, breathable and wear resistant. 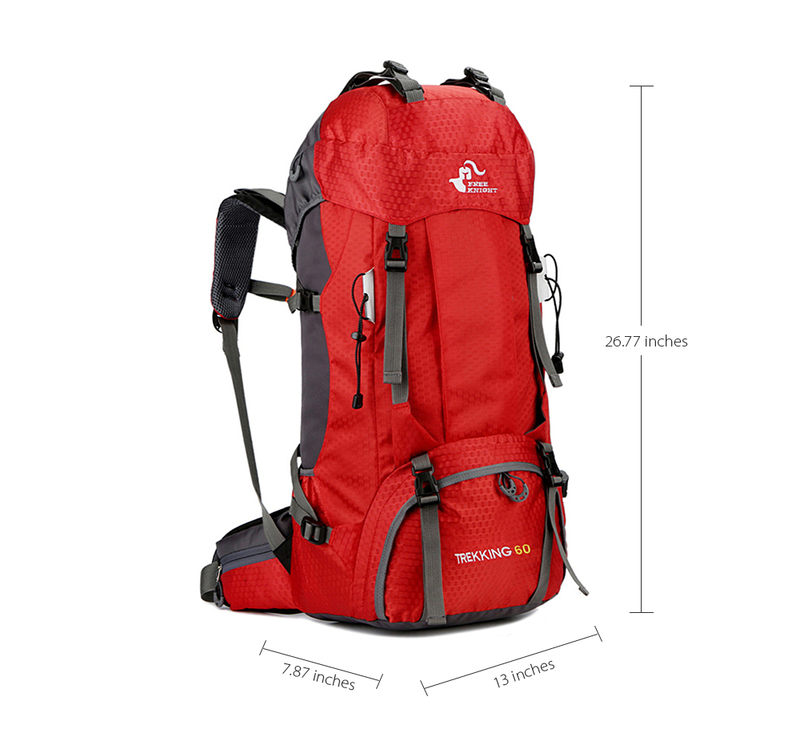 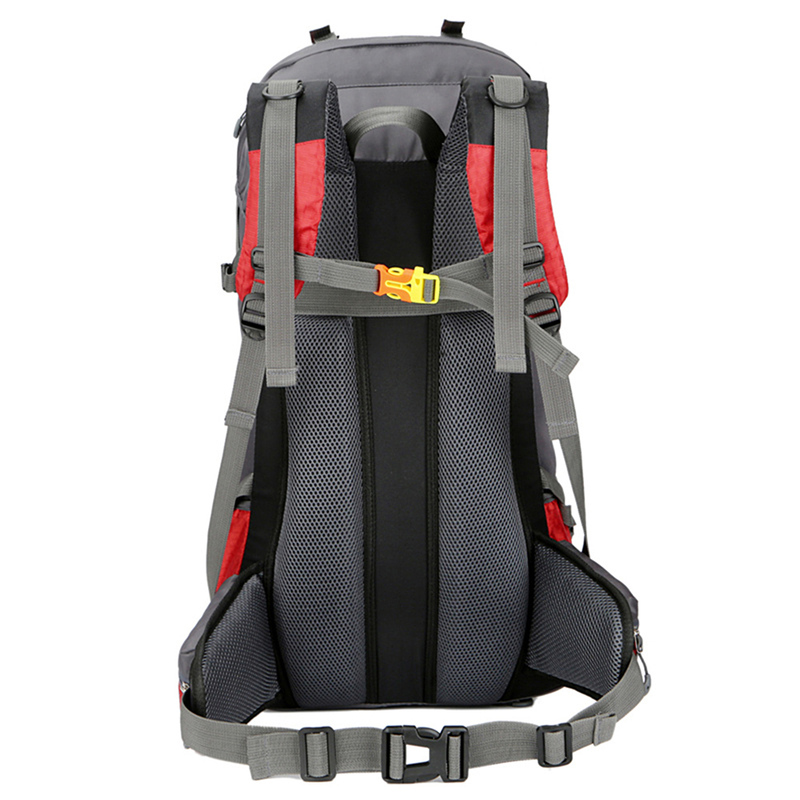 Large 60L capacity climbing backpack, spacious main compartment, numerous pouches with large capacity and dedicated shoe pouch. 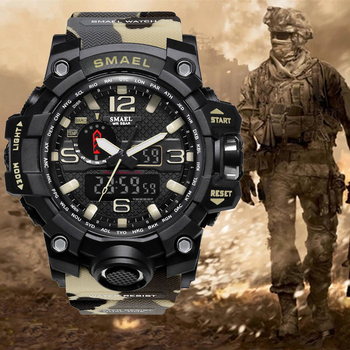 Adjustable shoulder straps, chest strap and waist strap.